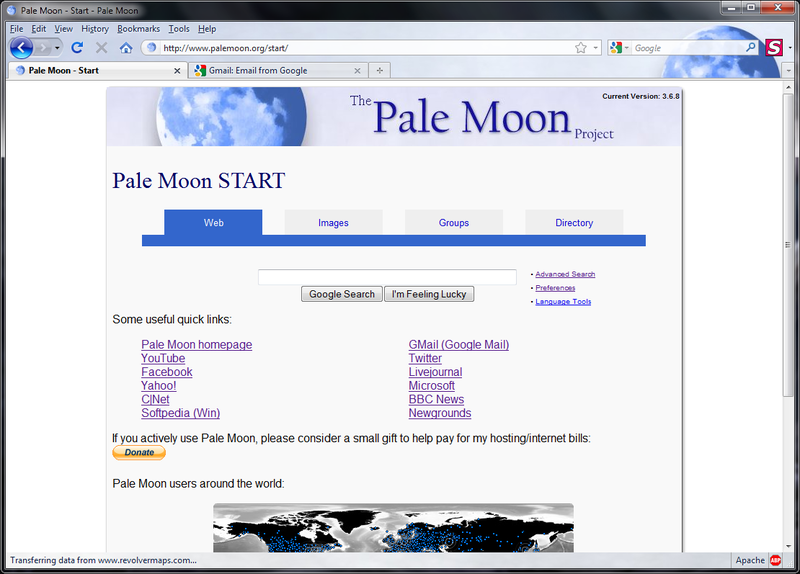 Pale Moon is a middle road, cutting away support for (by current standards) ancient systems to give you a browser that not only supports the wide variety of uses the Mozilla Firefox browser offers, but also uses the capabilities of modern hardware to give you a fast, efficient browser. Using Pale Moon, you will not be wasting processor time on inefficient code that is designed to run on hardware that is more than 15 years old. High speed custom built and Custom speed-optimized for firefox-based browser. Pale Moon is a middle road, cutting away support for ancient systems to give you a browser that not only supports the wide variety of uses the Mozilla Firefox browser offers, but also uses the capabilities of modern hardware to give you a fast, efficient browser. Using Pale Moon, you will not be wasting processor time on inefficient code that is designed to run on hardware that is more than 15 years old. If you have an Athlon 64 or later CPU, or a Pentium IV or later, then this is the browser for you! "The versatility of Firefox and the speed of Chrome"
Free color browser that shows the color's name or number. The Palette is a tool for the creation of 'theoretically correct' melodies. The professional colour selection solution for all your Web design needs. Rocket to the moon and beyond to build and manage your own 3-D lunar colony. Qweas is providing links to Pale Moon 12.2.1 as a courtesy, and makes no representations regarding Pale Moon or any other applications or any information related thereto. Any questions, complaints or claims regarding this application Pale Moon 12.2.1 must be directed to the appropriate software vendor. You may click the publisher link of Pale Moon on the top of this page to get more details about the vendor.